Here in Pittsburgh, the weather seems to have jumped right from a cold, snowy winter to a warm, sunny summer. If you have pets, this probably means you’ll be heading outdoors for lots more walks, picnics, and other summer adventures. 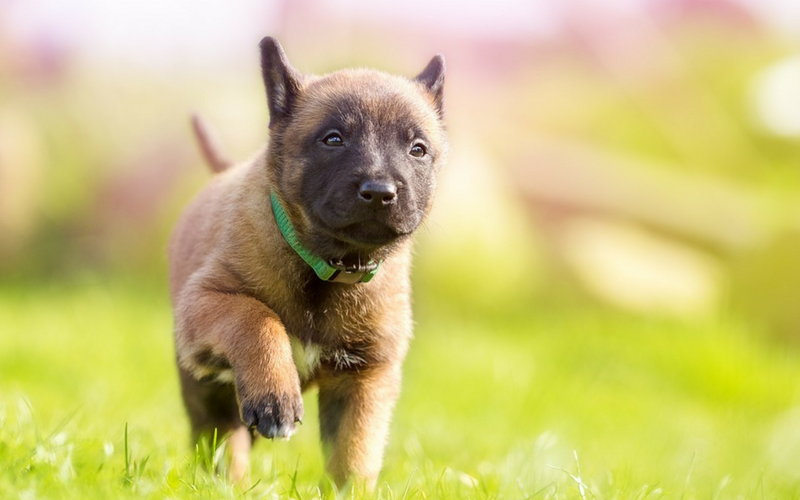 But no matter what your summer has in store for you and your pooch, be sure to keep these six very important warm weather safety tips in mind to keep Fido healthy and happy. Fortunately, there has been much more awareness lately surrounding the dangers of leaving pets in a hot parked car unattended. However, many people are still doing this and, consequently, putting the health and lives of their beloved pets in danger. Another common misconception of summer animal health is that it is a good idea to shave long-haired dogs or even cats to help them beat the heat. However, this is not true, especially for furry double-coated dogs! These breeds shed out their fluffy innermost layer of hair in the warmer months to stay cool, but they still need the outer layer of “guard” hairs that stay on year-round. Not only does this layer protect your dog’s skin from the sun, but it also works to keep your dog cool. If you shave a double-coated dog, the inner fluffy layer will start to grow back first and will quickly begin to trap heat. When taking your dog for a walk around town this summer, be sure to pay attention to where his feet are. Try to walk in the grass or dirt instead of on pavement on scalding hot days, as asphalt quickly becomes much hotter than the air temperature outside. As a basic rule of thumb, if you cannot comfortably place the back of your hand or bare feet on asphalt for about ten seconds, then it is too hot for your dog to walk on. If you don’t have air conditioning in your home, you might rely on open windows and fans to help keep your house cool. But if your windows don’t have screens in them, they could be a hazard to your pets, who might get curious and jump out or walk out onto the roof. Believe it or not, not every dog is a good swimmer. So if you’re unsure about whether or not your dog can swim, use caution when hanging out by the pool, lake, or ocean this summer. You can buy life vests for dogs that work great when hiking, camping, or even canoeing with your pooch!